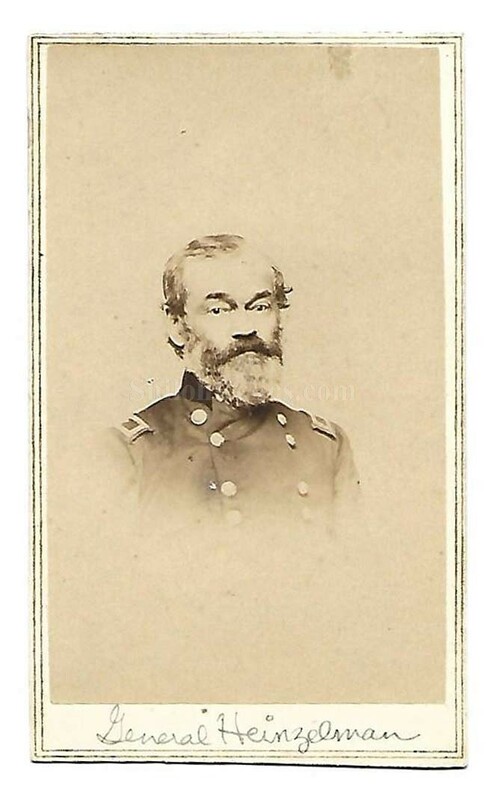 This is a great looking original Civil War era CDV image of Union General Samuel Peter Heintzelman (1805-1880). The face of the card is an image of the General in his uniform. Heintzelman was born in Manheim, Pennsylvania on September 30, 1805. He graduated West Point military Academy in 1826. He fought bravely during the Mexican war and earned a brevet of major for gallantry at Haumantla. He was commissioned as Colonel of the 17th US infantry on may 14th 1861. 3 days later, he received the promotion to Brigadier General. He was with general George B McClellan during the early days and was wounded at Manassas. He commanded that many major battles, including Yorktown, 7 Days, and 2nd Manassas. After the war he stayed in the Army until retiring in 1869, at the rank of Major General. These were often sold in quantity to people on the home front that wanted to see what the men they read about in the papers looked like.The overall size of a CDV image is approximately 2.5 inches by 4 inches in size. 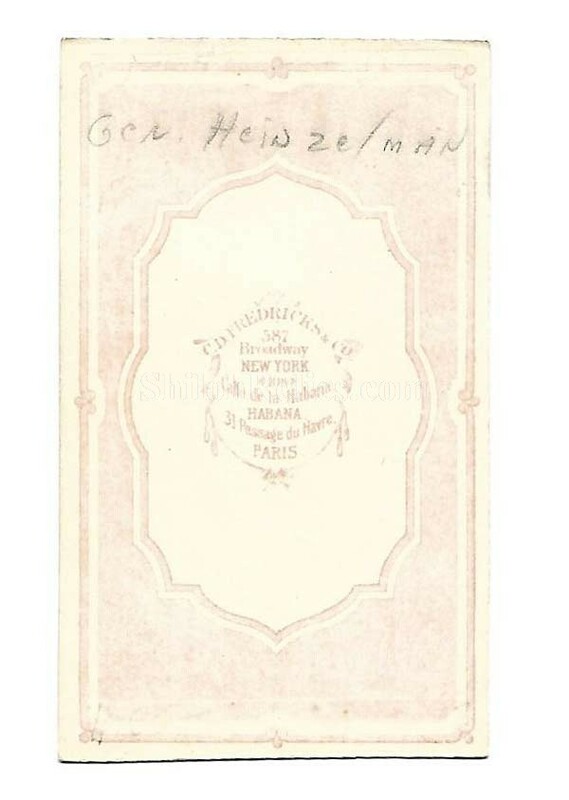 On the bottom of the card it has the desirable backmark of the Fredericks mark of New York. It is a nice touch on an already wonderful image. 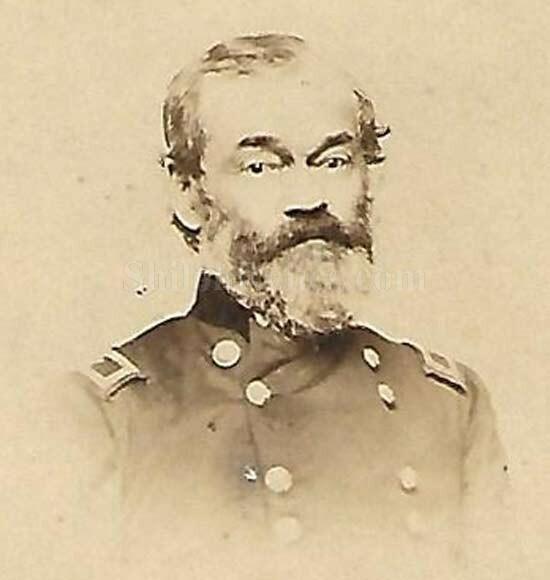 This is a great looking image of one of the Union Generals.